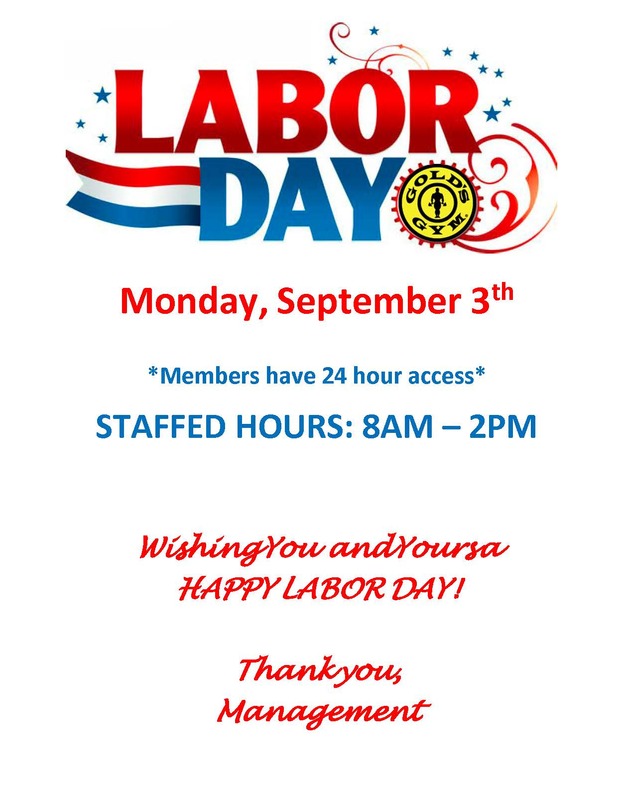 Happy Labor Day from all of us at Gold’s Gym North Lake! We will be having selected group fitness classes along with club hours on Monday, September 3, 2018 in honor of the holiday. Come on down to get your workout in early and enjoy the rest of your holiday!